Don’t let her perky personality and claims to end world hunger fool you, GMOs are known to cause organ damage, gastrointestinal and immune system disorders, accelerated aging and infertility in animals as well as several harmful bacterial conditions in humans. However she’s gained much of her fame from her roles as a pesky contaminate to organic farmers and her widely publicized relationship with Herbicides, which has led to an increase in toxic chemicals used in agriculture. She has also received attention because of her false claims to increase food yields, but experts have said that GMOs crops have a totally unpredictable yield! Despite her fame GMOs enjoys her privacy, which is why the majority of testing done by chemical companies is short term, rigged, and superficial, it also doesn’t help that the FDA does not require health testing. The International Assessment of Agricultural Knowledge, Science and Technology for Development (IAASTD) report, authored by more than 400 scientists and backed by 58 governments determined that the current GMOs have nothing to offer towards the goals of reducing hunger and poverty, improving nutrition, health and rural livelihoods, and facilitating social and environmental sustainability. Watch out: GMOs and her relationship with Herbicides has caused a lot of environmental and public contamination. 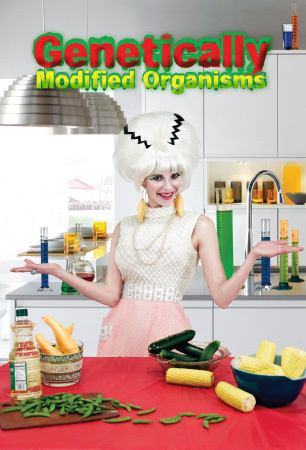 GMOs cross pollinate crops and her seeds can travel making it impossible to fully clean up. Most GM crops are engineered to be “herbicide tolerant” – designed to survive applications of Roundup – the deadly weed killer. Overuse of Roundup results in “superweeds” resistant to the herbicide. Now crops are resistant to more toxic chemicals, which puts more people at risk for conditions like cancer (especially non-Hodgkins Lymphoma), lowered sperm counts, liver disease and Parkinson’s disease. GMO’s face a lot of scrutiny from a variety of environmental organizations that are pro-organic farming and strictly against the harmful contaminants she releases into the environment. GM crops and their associated herbicides can harm birds, insects, amphibians, marine ecosystems, and soil organisms. They reduce bio-diversity, pollute water resources, and are unsustainable. What a freak! GMOs’ main career and fame is primarily fueled by chemical and biotech companies like Monsanto and Syngenta. Monsanto and other big biotech companies take advantage of the FDA’s lack of enforcement of GMO testing, and have spent more than $572 million in campaign contributions and lobbying expenditures in just over a decade.